A college girl in Sanya was stabbed by her ex-boyfriend on Wednesday afternoon. At present, the girl’s life is still in danger while the suspect is being held in custody by local police, reports sanya. hinews. cn. According to Sanya police, the victim, Huang is a 20-year-old student of a college in Sanya. 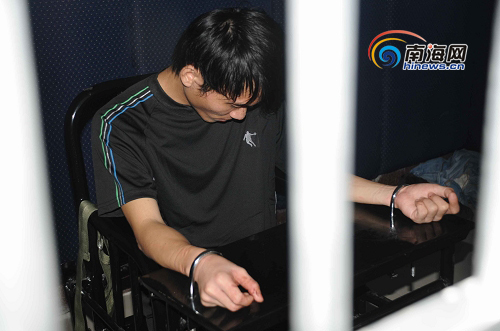 The suspect, Zhuo had serious disputes with Huang after they broke up with each other. Therefore, Zhuo began to resent his ex-girlfriend and stabbed her with a fruit knife on Wednesday afternoon. Huang was seriously injured by Zhuo in the neck. A witness called local police right after seeing what happened. Huang was then rushed to a local hospital at once while the suspect was detained by police on the spot. The suspect is now being charged for committing crime of intentional injury by Sanya police. However, the victim’s life is not out of danger yet.